Professor Emeritus of Religious Studies at Morningside College, Dr. Bruce Forbes also adds insight on the history of the Holy holiday. Dr. Forbes says churches turning to “Ashes 2 Go” reflects our busy society. “The ashes are burned from the previous year’s palm branches from Palm Sunday. And, then ground into dust,” said Pastor Swanson. 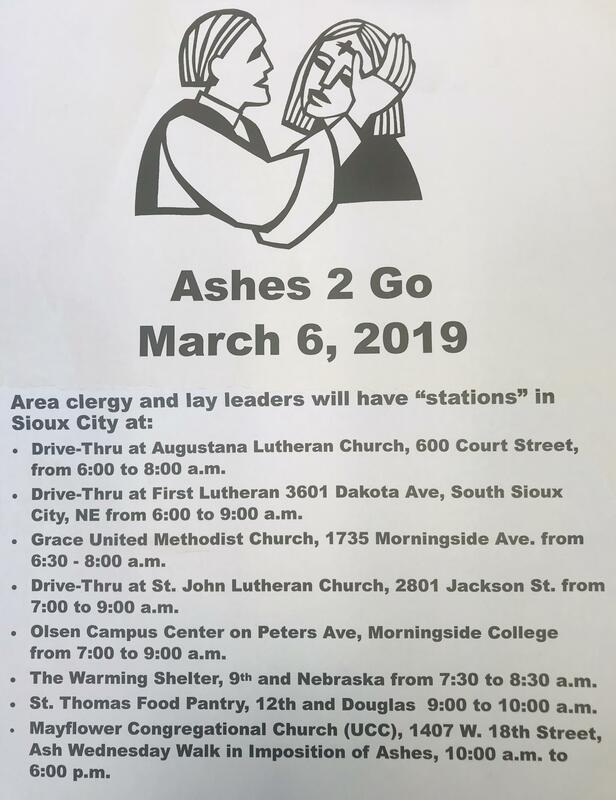 Pastor Swanson says “Ashes 2 Go” gives people a chance to share a symbol of their faith. And, Pastor Swanson hopes and maybe even prays for little divine intervention this Ash Wednesday.